For those in the US the sport of speed walking looks and sounds silly, with the odd gait and the fact its really not walking nor running hard for some minds to grasp. For 14 year old Martin it’s the sport he loves and he’s very good at it. That’s a good thing because Martin’s life is about to get weird and he’s going to frow up real fast. 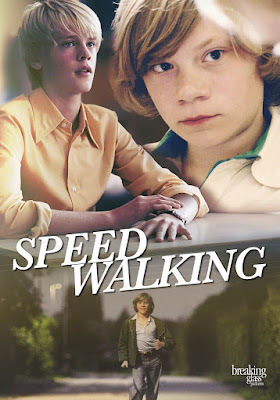 SPEED WALKING the film follows martin as his world turns upside down and then rights itself in the wake of his mother’s death from cancer. It sends ripples through his family as his father retreats to the basement, his brother refuses to take off his mother’s glasses and Martin finds his hormones starting to rage. It makes for a bumpy coming of age. This is a wonderful gem of a film. Recommended for someone wants agreat coming of age tale that is light years from Hollywood.